Ready to accept the new challenges this winter? We are proudly presenting you the hot, challenging and wildly entertaining arcade game that is recently developed. Swerve jump is definitely made for you if you are one of arcade game lovers. So be prepared to exercise your mind and keep you reflexes active. 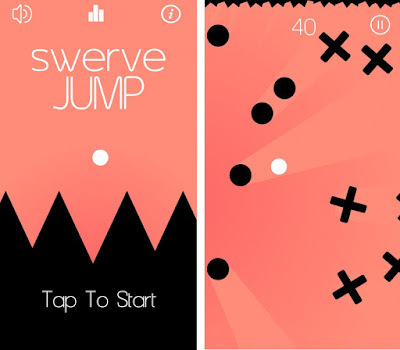 · Swerve Jump is free download and easy to use. · Very light and smooth game. · This game Make you to keep your entire focus on its game play. · It is very addictive brain twisting and interesting game play. · No internet connection required so play it anywhere. To download tap the link below and enjoy the never ending and exciting game play.